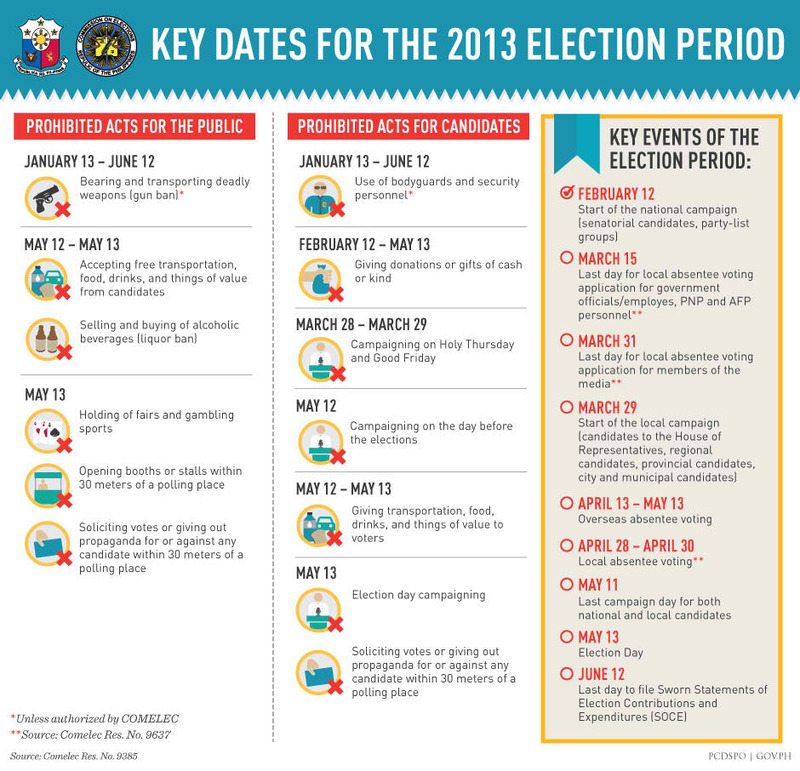 Manila, Philippines - Malacañang on Tuesday announces the key dates to remember for the 2013 national and local elections. Prohibited acts for candidates and for the public are also informed by the Palace. 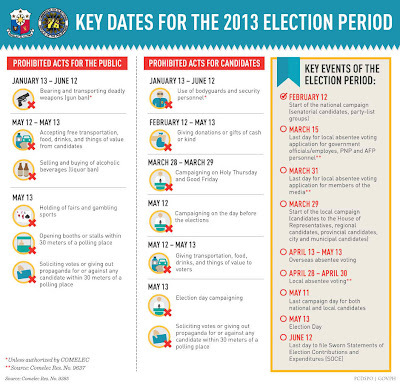 Important reminders in relation to election day on May 13, 2013 are with reference to Comelec resolution no. 9385 and 9637. Campaign period for national election already started last February 12. United Nationalist Alliance (UNA), the multi-party electoral alliance that replaced United Opposition (UNO) is in clash with the Liberal Party for the platforms they boast to the public. April 13- May 13 - Oversees absentee voting. May 12 - May 13: Accepting free transportation, food, drinks, and things of value from candidates. Selling and buying of alcoholic beverages (liquor ban). within 30m of a polling place.